Like other parts of our skin, the scalp may become the cause of itching sensations. At times dry, oily, or sensitive, the scalp may also develop red patches, scabs, dandruff or scales. The itching is a sign your scalp needs care. The origin of the symptoms can be varied, but our specialists have developed the right solutions to bring some welcome relief. Your scalp may become sensitive after chemical treatments or the use of products ill-suited to the health of your hair or scalp. Dehydration brought on by a poor diet rich in salty food and lacking in water may also be to blame. There is no single answer to an itchy scalp. Looking for itching relief? We have it! 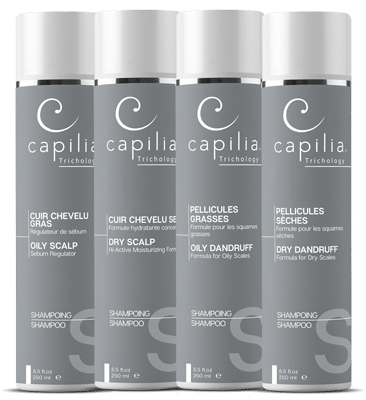 These products from the Capilia Advanced Scalp Care Line are made with 100% natural ingredients. 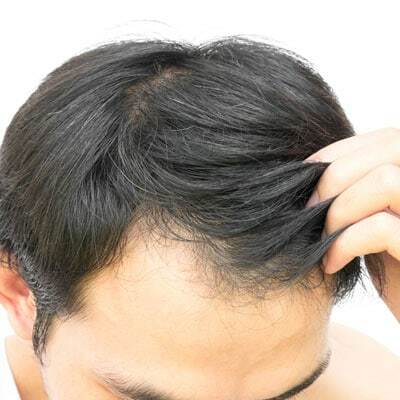 We have specific products to treat itching caused by a wide range of hair disorders. Do you have oily hair and scalp? Do you have dry hair and scalp? Do you show signs of skin inflammation or scaly plaques, such as redness, dandruff and patches on your scalp?